Drayton Hall is celebrating its legacy of remarkable women, past and present, during National Women’s History Month. Over the past three centuries, Drayton Hall has been home to generations of women who have distinguished themselves in remarkable ways. This month, we are highlighting the lives of three members of the Drayton family: Ann Drayton (c. 1680-1742), Rebecca Perry Drayton (1758-1840), and Charlotte Drayton Manigault (1781-1855). We’re familiar with the men of Drayton Hall, but how much do we know about the women of Drayton Hall? The ones who maintained and protected Drayton Hall, who kept the property going even during times of turbulence and chaos, and who were successful business women and entrepreneurs? Ann Drayton (c. 1680-1742), Rebecca Perry Drayton (1758-1840) and Charlotte Drayton Manigault (1781-1855) are names that deserve to be synonymous with the grandeur and strength of Drayton Hall. Ann and Thomas, the parents of John Drayton, lived at what is today Magnolia Plantation. By 1719, Ann found herself a widowed mother of four. She chose not to remarry, and instead positioned herself within the ranks of the male planter elite with an objective to ensure a financial cushion for her young children. She served as manager of the family estate and by the time of her death in 1742, she had significantly multiplied her family’s properties, becoming one of the most successful female landholders of her time. It was Ann’s social status and financial holdings that allowed her children’s entry into the southern elite and ultimately set the foundation for her youngest son John to construct Drayton Hall. It was Ann who paid John’s outstanding property taxes, gave him twice the land his father bequeathed to him, and brokered his marriages into some of the most powerful families in the South. From l-r: Miniature portraits of Rebecca Perry Drayton and her daughters Ann Drayton (1778-1830) and Susannah Drayton (1777-1810), c. 1787. Scanned images are from the exhibit catalog Henry Benbridge (1743-1812): American Portrait Painter. In 1775 at the age of 60, John married 17-year-old Rebecca Perry, and Drayton Hall gained its youngest, and perhaps most significant, colonial mistress. Yet four years later, at the age of 21, Rebecca found herself a widowed mother of three. She managed Drayton Hall as the British army occupied its lands, and protected and ensured the survival of the estate her husband spent his lifetime creating. Rebecca’s stepson Charles took ownership of Drayton Hall by the 1790s, and the environment manifested by both Ann and Rebecca became the background to childhood memories for Charles’ daughter, Charlotte. At the age of 19, Charlotte married Joseph Manigault, and she moved to a new residence on the peninsula, the Joseph Manigault House (c. 1802). 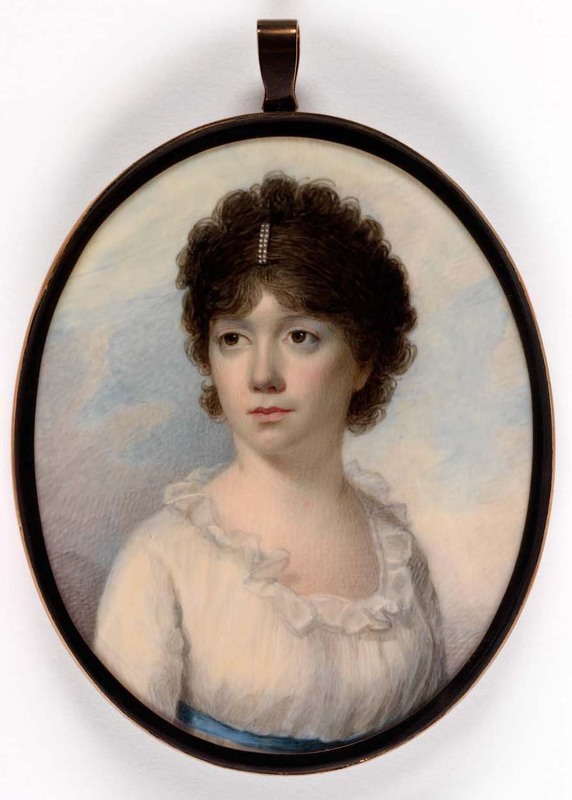 Mrs. Joseph Manigault (Charlotte Drayton) by Edward Greene Malbone, c. 1801. Image courtesy of the Smithsonian American Art Museum. Gift of Pearl G. Manigault. Charlotte used art and her appreciation for the built environment as a respite from her domestic responsibility. She created valuable watercolors and sketches of her family’s Lowcountry plantations. Today, artwork and architectural descriptions from her diary provide us with some of the most accurate documentations of her family’s estate as well as other Lowcountry residences. 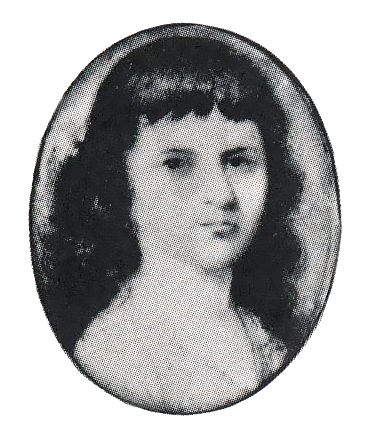 She also carried on the Drayton women tradition of meticulously conducting business on behalf of her husband (who died in 1843) and sons, by meeting with clients, regulating finances, and surveying downtown markets. Today, her portrait welcomes visitors into the Joseph Manigault House, and its centralized placement is a well-deserved representation of the Drayton women influence. The lives of these women clearly attest to how a mother, a wife, and a daughter drastically strengthen the mosaic of the historic landscape and architecture of Drayton Hall and ultimately the American South. Together, they established, advanced, protected, and conserved the memory of the Drayton estate. Their legacy stands the test of time. Brittany Lavelle Tulla is owner and lead researcher of BVL Historic Preservation Research, a Charleston-based historic research firm dedicated to embracing and preserving historic places through researching and profiling the history that shapes them. She is also an adjunct professor in the Department of Historic Preservation and Community Planning at the College of Charleston and the national research consultant for the Charleston World Heritage Coalition. Brittany received a Master of Science degree in Historic Preservation from the College of Charleston/Clemson University joint graduate program, where she completed her thesis “The Making of a Legacy: The Drayton Women and Their Influences on the Lowcountry Landscape and Eighteenth and Nineteenth Century Charleston.” Drayton Hall stole Brittany’s heart from the moment she walked on the property. Its history and landscape has been woven into every fabric of her life, and in 2013, she got married on the banks of the Ashley River at Drayton Hall.